WPC Whey Protein Concentrate. Now with more protein and soy lecithin free! Save money with our Packs. Pack to stay fit through a supply of proteins, vitamins, and minerals. Now with more protein and soy lecithin free! What is Evowhey Protein 2.0? How to know if a protein is of good quality? How to consume the Protein? When to consume the Protein? How to combine this protein? Who can benefit from Evowhey Protein? How can we combine Evowhey Protein? 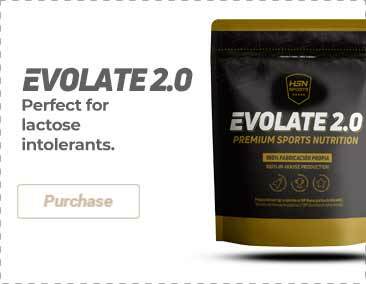 Evowhey Protein 2.0 by HSN is a nutritional supplement in powder with flavor, made of whey protein concentrate with sweetener. Evowhey Protein 2.0 is the evolution of our EvoWhey Protein, a protein formula from Whey Protein Concentrate, which is more than 70% of pure protein, with a low carbohydrate percentage and very little fat, which makes it one of the most powerful Whey Proteins available in the market. In this new version we improve the protein content by increasing its amount in each serving. Moreover, we remove the soy allergen from the manufacturing of Evowhey Protein 2.0, which makes it more accessible to all of you. We commit ourselves to constantly improve our HSN products, always offering maximum quality ingredients, removing allergens (as much as possible) and offering the greatest amount of nutrients per serving. Evowhey Protein 2.0 is a Whey Protein Concentrate of a fast absorption rate and digestibility, since milk casein, which slows down the absorption, is separated in its manufacturing process in order to obtain the pure whey concentrate. Another important feature is that we have improved the texture and taste of the protein shake. The blend of Evowhey Protein 2.0 is more creamy than its older version and its dissolution is better. Moreover, we are constantly discovering new flavors to offer a wide range of flavors for your protein shakes. Evowhey Protein 2.0 is produced in our own factory, which is why we look after its manufacturing process in detail. We make sure that all our fabrication processes respect the rules and quality controls applicable by Law. That is why we offer quality certificates that guarantee the proper functioning of our factory. The biological value (Bv) is a very important factor in order to measure if a protein is of good quality or not. It measures the percentage of consumed and absorbed protein against the protein that is discarded as waste. The greater the biological value of a protein, the greater the amount of protein that our body will obtain and use to encourage the task of protein synthesis. If we compare the biological value of Evowhey Protein 2.0 against other proteins available in the market, we have to say that it is at the top. PDCAAS or Protein Digestibility-Corrected Amino Acid Score is another factor with which we measure the quality of the protein. PDCAAS measures the amino acid requirements of human beings and our ability to digest them. In order to measure this factor, it is presented on a scale of 0 to 1. Those proteins that are closer to 1 will obtain a higher level of PDCAAS and will be of greater quality. Evowhey Protein 2.0 is considered to be close to value 1 in the scale of PDCAAS by experts, which means that it is a maximum quality protein when compared to other proteins available in the market. Milk proteins usually have a better quality when compared to vegetable proteins due to their complete amino acids profile. Our Evowhey Protein 2.0 has a complete aminogram which includes both essential and non essential amino acids. More specifically, it is made up of 18 kinds of amino acids, which means that the protein is formed by a chain of amino acids. Among all of them, we need to highlight essential amino acids that cannot be synthesized by our body in a natural way. That is why we need to acquire them through our diet or nutritional supplementation. Leucine, Valine, and Isoleucine make up the so called Branched-Chain Amino Acids or BCAA's. These three essential amino acids stand out due to their properties and contributing functions for proteins. In our evolved version of Evowhey Protein 2.0 we improve the nutritional profile by increasing the amount of amino acids per protein shake. *Protein calculated in dry matter (nitrogen *6.38). BCAA's or branched-chain amino acids are made of three essential amino acids: Leucine, Valine, and Isoleucine. Evowhey Protein 2.0 offers an excellent source of BCAA's per serving. BCAA's perform an important role regarding proteins. They constitute around 70% of the skeletal muscle, and they are the ones that suffer a greater impact due to physical stress produced by sports practice. The amino acid Leucine stands out above the rest of BCAA's because it has an extremely important role in protein synthesis. Moreover, thanks to leucine, the mTOR pathway which is responsible for the creation of new muscle tissues, is activated. Glutamine is an amino acid known as the 'conditionally essential amino acid' since it has important properties for our organism. Athletes who carry out constant workout sessions spend this amino acid and many times, our body is not capable of generating it completely, which is the reason why it is interesting to add it through our diet and supplements. This is due to the fact that athletes have a high training rhythm and they undergo a continuous physical overwork, where breaks and the recovery phase are short. Proteins are very important macronutrients for our metabolism. They are amino acid structures which are united through peptide links and which take part in important processes of our organism. Evowhey Protein 2.0 is a protein from whey concentrate which has multiple properties among which we want to highlight its contribution to the preservation and development of muscle mass, followed by a balanced diet and a daily workout plan. During the fat loss phase, those who want to achieve it will have to encourage the loss of fat that does not come from muscle mass. As we have previously claimed, proteins contribute to the maintenance of muscle mass, which is the reason why Evowhey Protein 2.0 provides an intake of quality proteins and amino acids in order to achieve this objective. Another one of the remarkable functions of proteins is muscle mass growth, which is encouraged by the intake of protein, by doing physical exercise and by following a healthy diet. In this sense, Evowhey Protein 2.0 provides high quality proteins from whey concentrate, which contribute to achieving an increase and growth of the muscle. The recovery phase is a very important period for the athlete as well; it begins right after finishing our workout session. In order to encourage this phase correctly, it is recommended to follow a nutritional diet accordingly. By doing this, we can shorten the recovery. Evowhey Protein 2.0 provides a fast absorption rate protein, which is ready to act in a brief period of time, and adding other important elements (BCAA's and Glutamine) in order to reestablish the hormone balance and reduce muscle damage. Considering that we eat between 4-6 meals a day, we can establish the intake of protein with the meals, although it will also depend on the needs of each person, since the values are totally subjective. Evowhey Protein 2.0 can be consumed between 1 and 4 daily intakes, always adjust it to your physical condition and lifestyle. 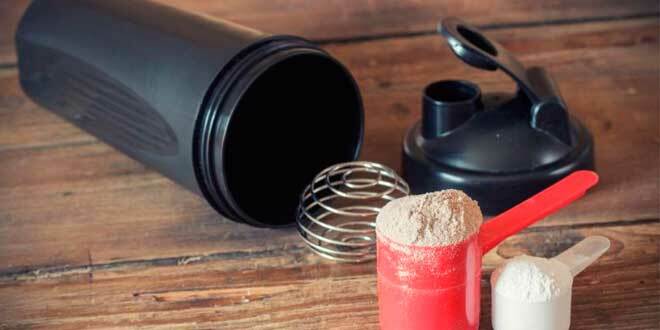 In order to consume Evowhey Protein 2.0 it will be necessary to mix a full scoop of proteins that comes inside the bag and add it to 200-250ml of liquid, mainly water or milk. It is left to subjective criteria to consume Evowhey Protein 2.0 at those times, as well as following a proper diet. Water and milk shakes or with any other drink that we like. With fruit or vegetable blends. Mixed with other products, such as yogurts or fresh cheese. 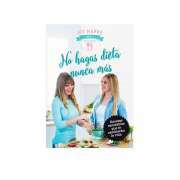 To elaborate 'fit' pastries - you can see several recipes in the Additional Information. Evowhey Protein 2.0 is a high quality protein source, and it can be consumed daily in order to balance our diet. * Whey Protein Concentrate 80% by HSNraw contains the same raw material as Evowhey but with a neutral flavor. 1. Legault Z, Bagnall N, Kimmerly DS. The Influence of Oral L-Glutamine Supplementation on Muscle Strength Recovery and Soreness Following Unilateral Knee Extension Eccentric Exercise. Int J Sport Nutr Exerc Metab. 2015 Oct;25(5):417-26. doi: 10.1123/ijsnem.2014-0209. Protein calculated in dry matter (nitrogen *6.38). Whey protein concentrate [emulsifier E322 (sunflower lecithin)], flavouring, salt, sweetener [E955 (sucralose)], natural flavouring. Mix 1 scoop with 200-250ml of skimmed milk or water. In this section you can see and download the research carried out by independent certified laboratories, providing the most precise and detailed information of each one. Simple order process and fast delivery. Great price, tiramisu tastes good. Great product, great communication, fast delivery! Remarkable results, specially at the recovery phase. I was afraid that it would be too thick but it actually mixes really well for my shakes! Vanilla tastes great and good value for money. Even though the choc-hazelnut tastes better, for this price is a good source of protein. 1x SHAKER HSNstore 600ml - ¡GRATIS! 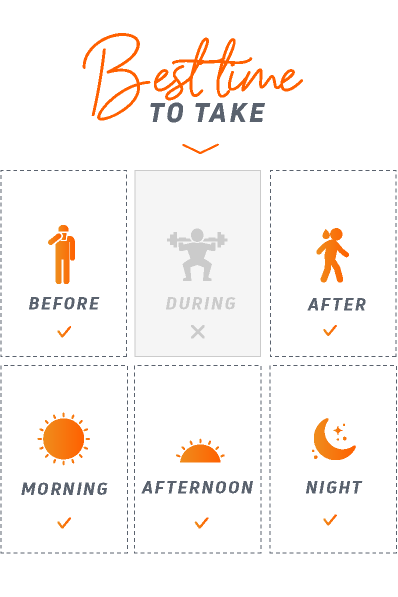 New pre and post-workout pack for a better performance and recovery after physical exercise. Supplement combination to improve the post-workout muscle recovery. SAVE MONEY - Protein Pack + BCAA's.